Talk Nerdy To Me: Gadget of the Week - iCADE. Gadget of the Week - iCADE. The awesome part about my job is gadget testing, lots and lots of gadget testing....though the FedEx and UPS people must hate me. 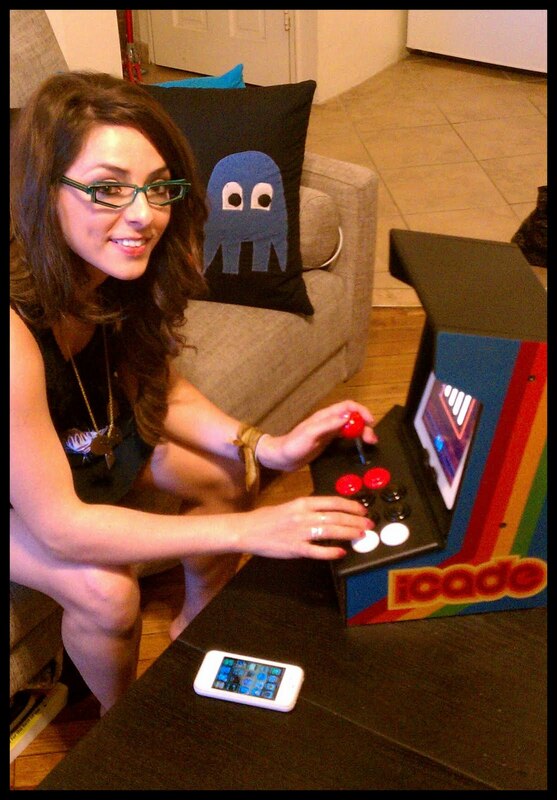 Here is a fave of mine this week... the iCADE. It started as an April Fool's joke on ThinkGeek but now is a full fledged product and an awesome decor piece. It took about 25 minutes to set up (comes with a few screws, allen wrench, nothing crazy). It feels pretty durable and love the $0.25 coin slot that lights up. 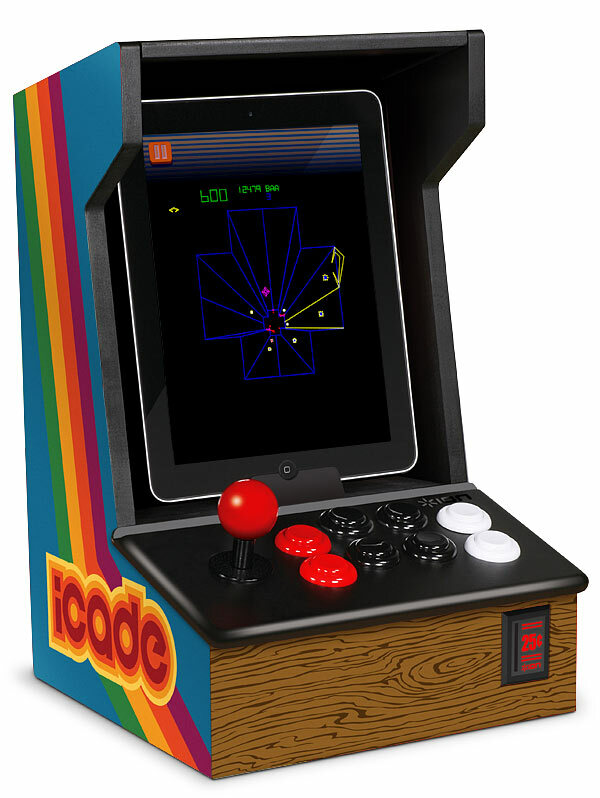 You pair the device to your iPad via Bluetooth entering a code with the joystick and buttons. You can download 100 Atari Classics for $15 or they come in four packs for $0.99 in the App store. I've been playing Pong and Centipede for a half hour and now... I think it's time to get back to real work. Who says Centipede isn't real work? I always like to try to justify any sort of gaming as work. Even at about 3am on Bejeweled I allow myself the next level because its for "work". Tim, this is right up your alley if just for decoration!